Wine has been crafted from Mt. Veeder soils since the early 1860s. Along with other Napa winemaking pioneers such as Charles Krug and Agoston Haraszthy, Captain Stalham Wing, who arrived in 1853, showed the first Mt. Veeder wine at the Napa County Fair in 1864. Mt. Veeder is the largest AVA in the Napa Valley, established in 1993, but numbers don’t really tell the story. 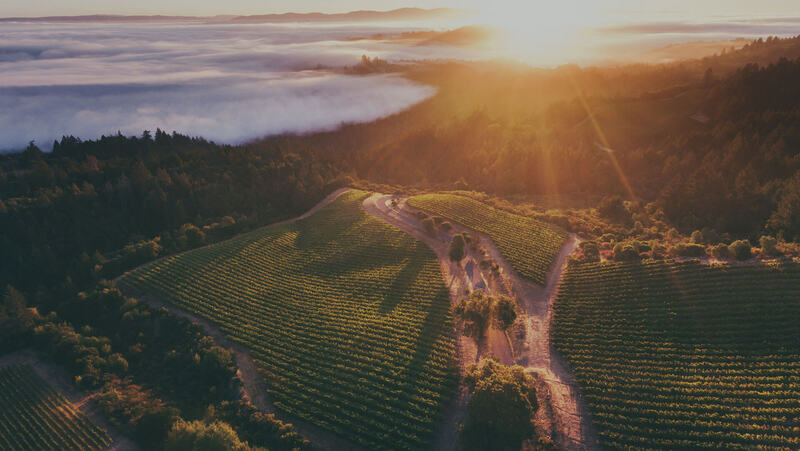 The mountain is 25 square miles, or 15,000 acres, stretching from the Carneros to Oakville, and down the grade to Glen Ellen. Yet just 1,000 acres are planted to grapes, less than 2 percent of Napa Valley’s production with the lowest average yields in the region. Cabernet Sauvignon is the most widely planted variety, but Malbec does exceptionally well here. While much of Napa Valley is a mélange of 30 different soils, all traced to volcanic activity, much of Mt. Veeder is an ancient seabed, with thin, rocky soils typically 12 to 24 inches deep. Steep slopes of up to 30 degrees have an array of exposures, creating micro-climates around every twisting turn. San Pablo Bay brings cooling maritime influences and serves to moderate the diurnal temperature swings. It is not uncommon for Mt. Veeder to enjoy daytime temperatures 10° to 15° cooler than those on the Napa Valley floor. The growing season moves slowly, with harvest here stretching into November, another reminder of how extreme the challenge, but how rewarding the results can be.